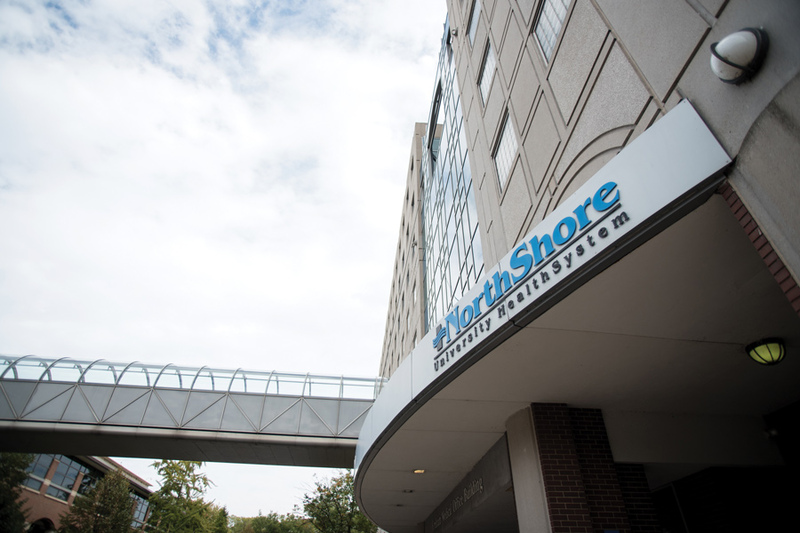 Evanston Hospital, 2650 Ridge Ave. A Northwestern student was taken to the hospital Monday afternoon after sustaining “significant” injuries from an incident at the Pi Kappa Alpha fraternity house, Evanston police Cmdr. Ryan Glew said. A 20-year-old Northwestern student is in a medically induced coma after sustaining “significant” injuries from an incident Monday at the Pi Kappa Alpha fraternity house, Evanston police Cmdr. Ryan Glew said Tuesday. The male student was taken to Evanston Hospital on Monday afternoon after falling from the fourth floor of the fraternity house at 2313 Sheridan Rd., University spokesman Al Cubbage said Monday. Cubbage said there is no indication that the incident occurred during a party or activity at the fraternity house. Glew said the student is in critical condition. There is no indication of foul play, he said, adding that Evanston Police Department officers have interviewed witnesses and others associated with the student. “There’s no definitive piece of evidence or circumstance we can point to that makes this an intentional jump or an accidental fall due to ill-advised behavior,” Glew said. Glew said EPD is leading the investigation on the case. Out of respect for the family and because the incident is still under investigation, Glew said EPD cannot comment on the student’s identity. Dean of Students Todd Adams and Office of Fraternity and Sorority Life director Travis Martin were at the Pike house on Monday afternoon and could not provide any more information. Pi Kappa Alpha chief marketing officer Brent Phillips said in a Tuesday statement that the chapter is cooperating with authorities and is appreciative of NU administrators’ and the counseling center’s support. “Out of respect for the young man, the family, and friends, the Chapter will refrain from further comment at this time,” Phillips said. This story was updated Tuesday at 8:25 p.m. with new information from Evanston police Cmdr. Ryan Glew and Pi Kappa Alpha chief marketing officer Brent Phillips. The headline has also been updated with new information.